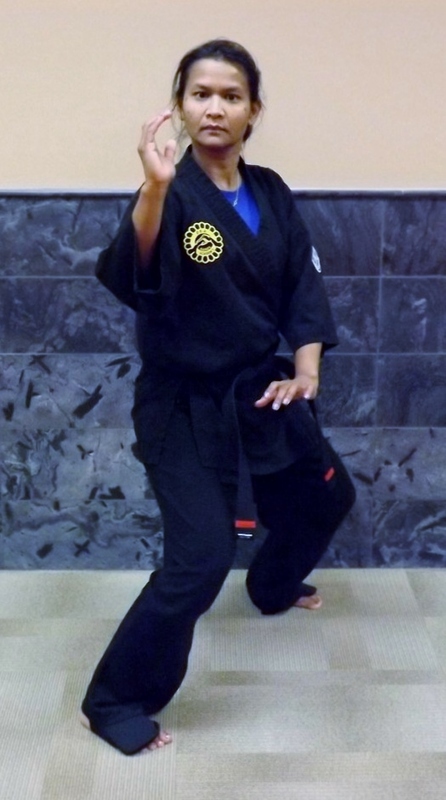 Through extensive testing, certification and on-going instruction, our staff has attained mastery in this martial art and now enjoy sharing their skill and passing it on to their students. Mr. O. is a 4th Degree Black Belt in American Kenpo. (EPAK) He also holds a 2nd Degree Black Belt in Ryu-Kyu Kenpo, Chinese Kenpo and Okinawan Kobudo (weapons) – Odo Lineage, and Sho-Dan in the Okinawa Kobudo Doushi Rensei-kai. Mr. O. began his training in July 1984. He enjoys continually training and sharing the knowledge with the eager and willing. However, he always values being the student as well. In November 2003, Mr. O. took his training to the next level in Kenpo by joining the Larry Tatum Kenpo Karate Association (LTKKA). The LTKKA is one of the largest worldwide American Kenpo organizations in existence. Mr. O. is excited and proud to be a personal student of 10 th Degree Grand Master Larry Tatum, as well as, being personally mentored by 7 th Degree Senior Professor Clyde T. O’Briant. Mr. David has been in training since October 2010. He enjoys learning new techniques and making new friends. Mr. David wanted to start training at the PKA Karate Academy because it requires hard work, a good spirit, and mostly, because it seemed like a lot of fun. Mr. David likes to assist with helping and mentoring the younger students any way that he can. One day, he hopes to achieve a Black Belt. Mr. David plans to stay at the PKA Karate Academy because it’s a very good academy, with many great teachers. Currently Mr. David spearheads our children Kenpo programs and is well-respected for his knowledge, patience and experience on the mat. Mr. David has been actively playing baseball since he was 5 years old. He has played many baseball All-Star games and has won four All-Star awards. He also enjoys hunting, hiking, camping, and target shooting at his family’s camp. He started golfing this year and plans to make it a lifelong game. In his spare time, he enjoys playing XBox and PS3 with his family and friends. Ms. Betta is a force on the mat and as a mother of three herself is fantastic not only with her technique/movement on the mat and also for her patience and relatability to both the children and parents alike in the studio. Ms. Long is now helping out by teaching in many classes. She is also a very valuable asset with her professional skills as a manager/trainer for a major corporation outside of PKA in meeting and talking with all of our students, parents, and children at the school. She is very focused and goal oriented when on the mat, whether it’s dealing with her children’s goals, her personal goals or helping others achieve their goals. When not training, Ms. Long loves spending time doing just about anything with her children, especially at the library, just reading in general, time at the park, cooking and shopping at the specialty food shops at the strip district downtown.